Try to tuck this away in your memory bank with a trigger on it to leap back to the top of your dome the next time you enter into an agreement. Whether it is a lease, a purchase agreement, a loan, an employment agreement – any type of contract. I’m going to let you in on some glaring terms to look out for and try to either renegotiate or avoid (or, if you are savvy, maybe try to get some of these in to benefit you) to avoid getting totally rocked should you end up in litigation. ATTORNEYS’ FEES. In the US, each person is responsible for her own attorneys’ fees regardless of the outcome of a case unless a specific contract or statute says otherwise. When in a contract, these clauses totally change the dynamic between the parties because it puts so much money on the line if a dispute actually has to go through trial. Sometimes, the amount of money on the line that actually has to do with the dispute will be smaller than the legal fees required to get that dispute resolved. So, even if you have a really strong case, you may get spooked if you are on the hook to potentially pay the other person’s legal fees if you lose, and the other side will use this to his advantage in negotiations. Be on the lookout for language that says that in the event of a dispute, or a breach, or if someone has to enforce their rights under the contract, that person X shall pay the reasonable attorneys’ fees and costs of person Y. FORUM SELECTION CLAUSES. These are doozies because they can potentially require you to go anywhere in the US (or world, if you are dealing with a foreign person or corporation) to litigate a claim. That means that if you have a problem with somebody you contracted with, you may have to trek to the West coast to resolve the problem. Or, if somebody has an issue with you, they can sue you on the West coast. Be on the lookout for language that involves the word “jurisdiction” or “forum.” Often times the language will say that you submit to the jurisdiction of a certain state or district. AUTOMATIC RENEWAL/EXTENSION. Typically you’ll see these in leases, though there are some employment contracts and random other contracts that will call for an automatic extension or renewal. There are various legal implications depending on the wording of these clauses, but, as a basic principle, you should always fully understand how long your contract is for. If you see renewal or extension language, make sure you are clear on how long the renewal/extension period is for, and how it goes into effect – does it require one person to give the other notice in writing for it to be exercised? Or, perhaps it automatically is exercised unless one of the people gives notice that he doesn’t want this to happen? Be on the lookout for language that says renew or extend, and be aware of “notice” requirements – how long before the contract expires do they need to be complied with, how they need to be complied with, etc. Consider eliminating it in its entirety unless it benefits you. ARBITRATION. Arbitration is a way to resolve disputes without going through the courts. It is notorious for being bad for the person with less bargaining power, and usually is mandatory if it’s included in a contract. One of the biggest fears is that you’ll have somebody who isn’t necessarily as impartial as a judge or a jury making a decision that you have to live with. LIQUIDATED DAMAGES AND DAMAGE LIMITATIONS. Damages are what the harm is that is caused to a party. Usually you are required to show the actual money that is or will be lost from a breach of the contract and that will be your monetary damages. But some contracts try to finagle a way around that by putting in a liquidated damages clause that can force a party to pay much more than what the actual monetary harm is or by limiting the damages to less than what the actual monetary harm is. 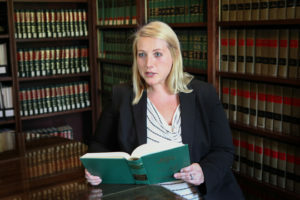 The Law Offices of Beauregard, Burke & Franco is a civil litigation firm specializing in civil rights, business, medical malpractice, employment, and personal injury law. We have handled numerous cases involving contract breaches and also assist clients in drafting contracts that protect them should an issue arise. 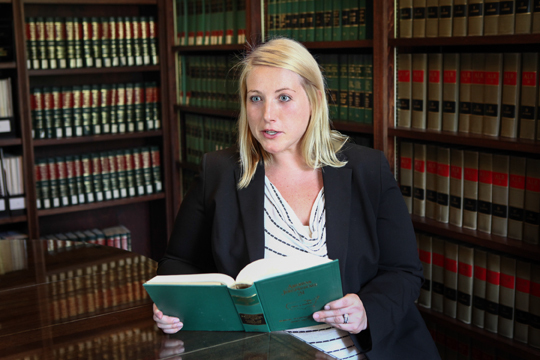 If you have a contract issue or need to have one drafted, you should reach out to an experienced attorney like those here at BBF.